Anyone who has watched Roland Emmerich’s previous movies will surely know that he loves blowing up stuff all around USA, with Washington being his favourite. Right from Independence Day, followed by The Day After Tomorrow and 2012, Roland has shown us multiple ways of how the world would go down. In this movie however it is just the White House. 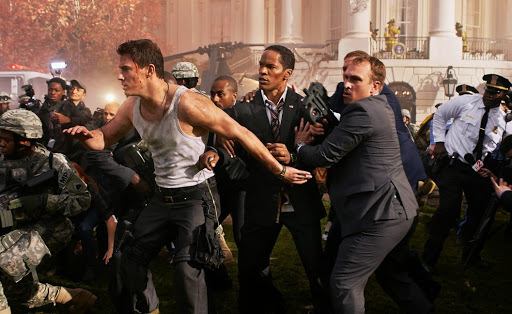 The movie stars Channing Tatum as Cale, and Jamie Foxx as the President of the USA. Cale portrays the character of a bodyguard. He ends up at the White House for an interview to be part of the secret services. However his past haunts him and he does not make it through. His career isn’t the only thing that Cale has been unsuccessful at. Cale’s daughter Emily (played by Joey King) isn’t fond of her dad either and calls her dad with his first name. Cale brings his daughter along to the White House to fix up things with her, given that she is a big fan of the President. As the interview gets over, Cale and Emily hang around for a tour of the White House. Little do they know that things would get ugly in sometime. As Cale and Emily are still on the tour, a group of individuals with a not so common motive attack the White House. The terrorists might not have a common motive but they are ready to kill and do have a well sought out plan. As things start getting difficult and the terrorists take control of the White House, Cale steps up to protect the President. With this huge responsibility at hand, Cale has to also ensure that he gets his daughter out of the place safely. What follows is a series of action scenes from shooting and killing to helicopter crashes and blowing up parts of the White House. Yes, we have all seen this type of action before. 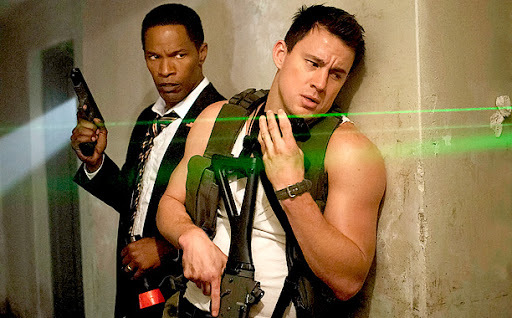 However, the chemistry between Tatum and Foxx is interesting to watch. The scenes with both of them together lift up the movie. Jamie Foxx pulls of his role with ease and adds some humor to the character. I haven’t watched a President be part of the action and be humorous at the same time ever before. Channing Tatum is impressive, while Joey King manages to handle her parts pretty well. Tatum steals most of the screen space in the movie. Maggie Gyllenhall as Finnerty is passable and does not have a lot of say in the movie. Lance Reddick as General Caulfield has not been given enough screen space but impresses whenever he is on screen. Other supporting cast including Richard Jenkins and Jason Clarke do a decent job. The story of the movie is good but there is nothing special about it. Most of the action scenes in the movie are well done, especially with the part with the Limo and the Air Force One. However, there are a few over the top ones that are hard to believe even with amazing graphics. Overall, the movie has a lot of action and pretty less space for anything else. 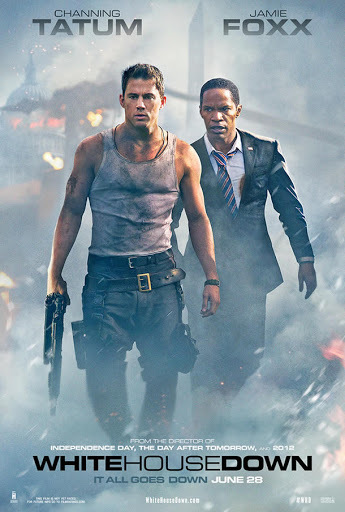 Go for it if you are looking for a good action movie and if you are a fan of Foxx or Tatum.